Recorded: Hammersmith Odeon, London UK, December 26th. 1979. Sound: CD audience recording. DVD Pro-film. 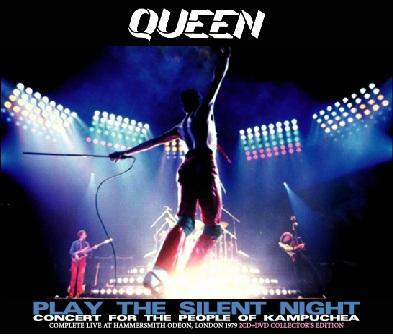 Comments: Queen Play The Silent Night is a tremendously exciting release, covering Queen’s amazing concert for The Concerts For The People Of Kampuchea benefit on December 26th, 1976. It not only has the excellent audience tape on 2CDs, but also all the known footage on one DVD. Queen’s Kampuchea show remains the most vivid and accessible document from a strangely obscure tour. The UK Crazy tour in late 1979 saw the band play in smaller venues throughout the country including six shows at the end of the tour in London, each in a different venue: Lyceum Ballroom, Rainbow Theatre, Purley Tiffany’s, Tottenham Mayfair, Lewisham Odeon, and Alexandra Palace (seven months before it caught fire). 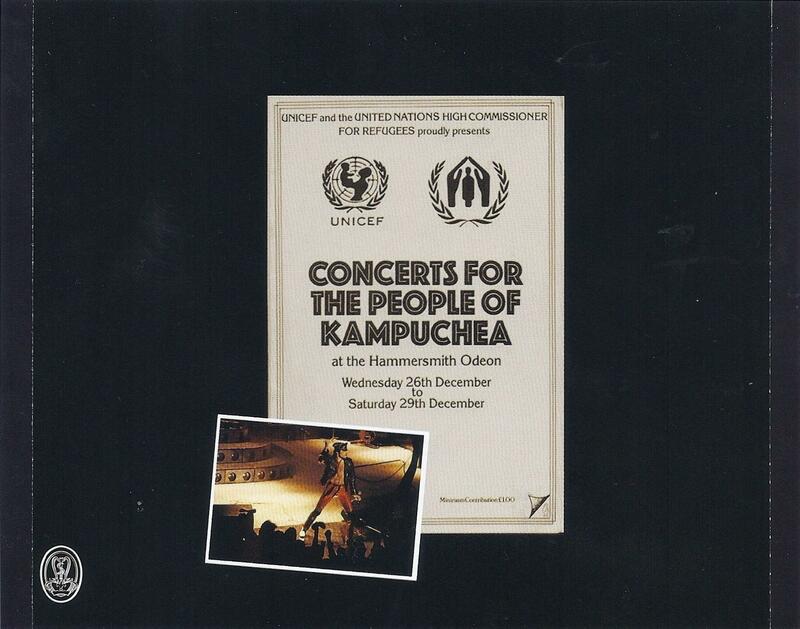 In April an LP was released Concerts for the People of Kampuchea including one Queen song, “Now I’m Here.” More footage was used for the German TV special but unfortunately the entire show hasn’t surfaced from these sources and have been out of print for twenty-five years. Crazy Tour In London was released on LP in 1980. This is missing ”Keep Yourself Alive,” the guitar solo, and the “Brighton Rock” reprise. 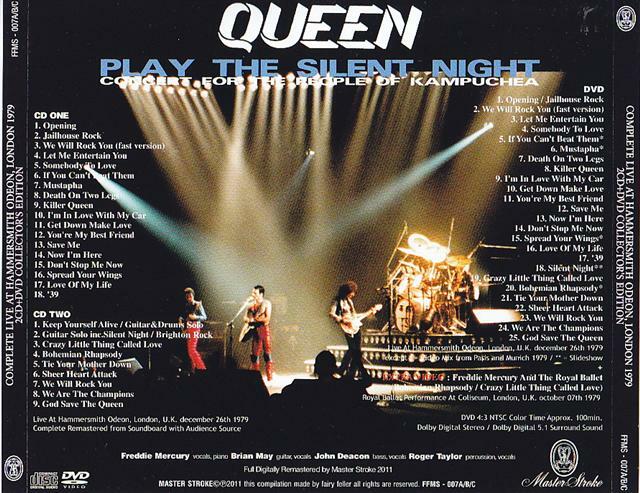 “Silent Night,” played during the guitar solo, is placed at the beginning of the show. This show can also be found on the vinyl Crazy Duck in 1984 which utilizes the television soundtrack. In 1999 Crazy Tour In London was pressed onto silver disc from a vinyl copy and was released complete with cardboard sleeve duplicating the original artwork. Since it was copied from vinyl, this has the same defects as the original vinyl. Complete Kampuchea Concert (Gypsy Eye GE-137/138) was released by Gypsy Eye in 2000. They use the same audience recording but a copy that sounds closer to the master tape. It is much more clear and all of the songs are in their proper sequence. There are small cuts after ”Save Me” and ”Brighton Rock” (at least), but there are no cuts in the music and this is virtually the complete show. Eleven years later in late 2011 Master Stroke produced what looks like the definitive package. The two audio discs contain the complete show and a DVD has the complete footage along with assembled slide show footage for continuity. Instead of utilizing the audience tape only for the audio discs, Master Stroke use the soundboard, video soundtrack and audience tapes to complete the show. It is an attempt to present the show from the best available sources and sometimes it is done very well, but this one is not. The sources change frequently, and the difference in tape speeds between the various sources take a few seconds to adjust. It’s a strange effect and is very distracting. Given the level of playing, Freddie’s impeccable voice, and the meaning behind the show, Queen’s final concert of the 70′s stands as not only the greatest of their career but among the best ever. Whatever doubts the band may have had after Jazz were dispelled by the success of the latest single “Crazy Little Thing Called Love,” and this confidence would be carried into their next album The Game. To have such a sublime performance in an excellent sounding tape is a tremendous blessing to collectors. The set list is based upon the previous tour. The tape picks up with the opening electronic tone rising in pitch and with the thunder cracks the band hits the stage with a the cover tune “Jailhouse Rock,” their old encore which was added to the opening salvo after the first week. “How are you rock and rollers? Are you having a good Christmas? You feel crazy? Okay let’s do some more” Freddie greets the audience before “Let Me Entertain You.” This is a song destined to be a great opener but curiously was only played in the second in it’s short life span. The audience responds and cheers loudly before going into “If You Can’t Beat Them.” The early medley was changed from the previous tour. “Mustapha” made small cameos but on the Crazy tour is sung complete for the first time and “Bicycle Race” is dropped, never to appear live again. “For those of you who don’t know, this night brings us to the end of the tour. I don’t care. 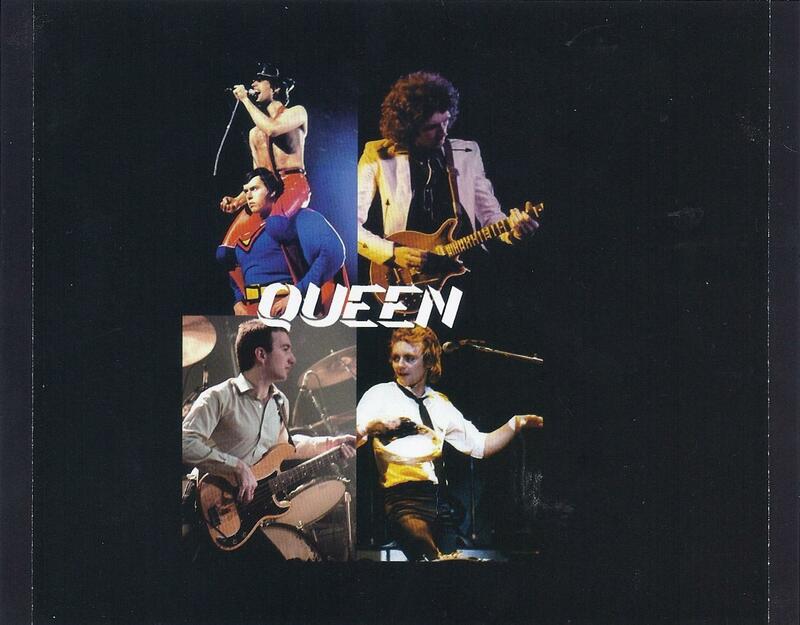 We’re gonna be here all the time, don’t worry about it” Freddie says before their latest single “Save Me.” Two songs, “Don’t Stop Me Now” and “Spread Your Wings” make their last live appearance and the latter is among the best versions ever of the song. Brian May speaks about the point of the show afterwards saying, “As you may know this is a special night for charity for the people of Kampuchea.” The acoustic set is limited to only two songs. “Keep Yourself Alive” is expanded to include not only a drum solo, but May’s guitar solo including “Silent Night” for the Christmas season. They don’t return to the song but instead end with the closing verse of “Brighton Rock” in a nice surprise. The DVD contains all of the known pro-footage of the gig and was released almost a decade ago on Live Crazy 1979 (Digital Queen Archive DQA-001V DVD). Master Stroke completes the show with footage from Munich and Paris early in the year and with slide shows (like during “Silent Night”) which has no other footage. As a bonus, the label includes several minutes of very rare amateur shot footage of Freddie with the Royal Ballet in October 1979. The first routine, lasting about two minutes, features Freddie singing to an orchestral arrangement of “Bohemian Rhapsody” and dancing a routine almost identical to the one featured in the “I Want To Break Free” video several years later. The final ninety seconds shows Freddie singing “Crazy Little Thing Called Love” in front of several dancers. Ultimately, Play The Silent Night is a good, but not great effort. The editing on the audio really wasn’t needed in the first place. But if they really wanted to edit all the sources together, they could have done a better job of it. The DVD isn’t bad at all, and the bonus footage is extraordinarily rare and great to have.